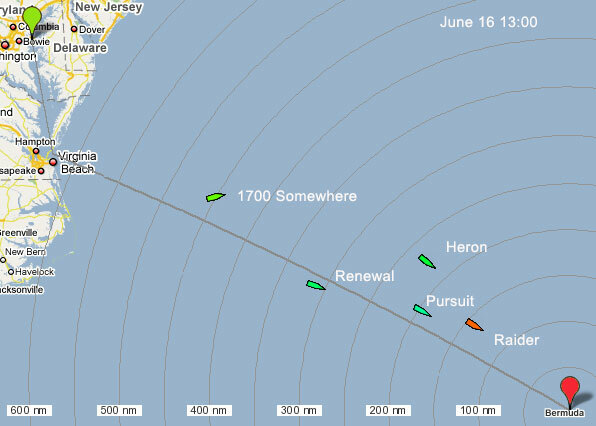 Annapolis to Bermuda Race Begins Friday! The 19th biennial Annapolis to Bermuda (A2B) Race leaves from the Eastport Yacht Club on Friday, June 6th. Be sure to track the progress of the race here. The first Annapolis To Bermuda Race was established in 1979 with seven yachts that competed informally. The organizers determined there was sufficient interest for this type of race and it became an accepted biennial event starting in 1980. Since then the fleet has grown and now attracts both racing and cruising boats. The fleet is limited to 50 entries. This allows the committee and host clubs to be responsive to the needs of each entrant–a major objective of the race organizers. The race has been structured to provide a combination of inshore and offshore racing previously not available. Divisions are established to insure fair matching for both cruising and racing boats. A major objective is to enhance the art of navigation for more sailors. This includes piloting through the 125 miles of Chesapeake Bay coastal waters and navigation of the 628 mile offshore leg. A2B provides these challenges within a framework designed for safe offshore sailing. It enables many sailors to fulfill a lifelong ambition: a blue water passage to an island of coral with white sandy beaches and hospitable people.